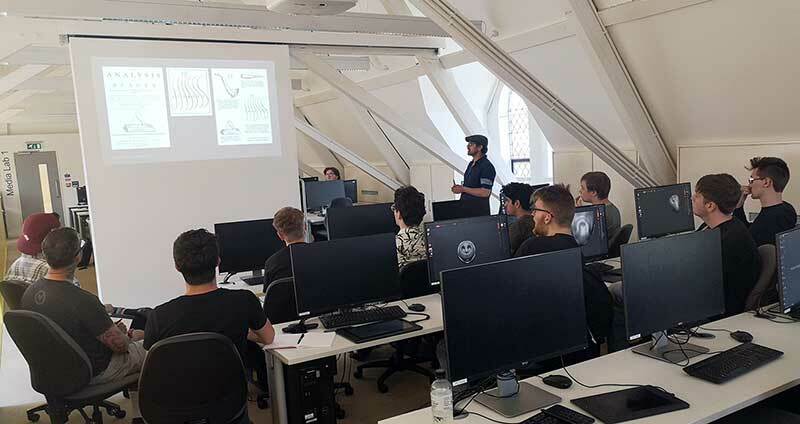 Jahirul Amin of visual effects specialists DNEG joined us on campus as a Guest Lecturer for our BA (Hons) VFX students. Jahirul shares tips and advice from his experienced career as a Computer Animation and Visual Effects Trainer. "So, study the fundamentals such as anatomy, how materials and light behave, kinesiology, photography, physics, etc." What are you top three tips for new 3D artists wanting to work in the world of visual effects? Study the world around you. Tools will change, however, the fundamentals will not. So, study the fundamentals such as anatomy, how materials and light behave, kinesiology, photography, physics, etc. Be prepared to learn new things and update your workflows to be more productive. What has been your favourite project to work on and why? So in regards to one of my favourite projects and as my role does revolve primarily around training, one of my favourite projects was writing a book on creating a character in Maya. During the process, I learnt a heap of new things and was able to pass this new-found knowledge to others. And that pretty much summarises what I like to do: learn new things and share this knowledge with others. As a VFX Trainer, I tend not to work solely on one show but across multiple shows and because of this, much of my role is based on getting artists up and running with the pipeline and the tools to push data through the VFX pipeline. Every now and then, I get to do the odd bit here and there (texture shoots, photogrammetry, look development shoots, HDRI shoots) which means I can shout “that’s the rock I scanned” or “that’s the spider I modelled”.